Diuretic foods can be helpful if you’re looking to lower your blood pressure, or if you’re retaining water. Some dieters also use it to help them lose weight, and purging the body of excess fluid is good for your overall health and well-being. One option is to take water pills in order to get your body to release extra water and salt, but before going that route it may be a better idea to make a few dietary changes and see if that helps. Here are our picks for the best diuretic foods available to keep things natural. Adding lemon to your water doesn’t just make it taste better, it can help you if you have high blood pressure, and is often one of the first foods recommended to those suffering from certain medical conditions. It’s easy enough to start getting more lemon into your life, because it’s the juice that does the trick, so you don’t actually have to eat lemon slices or wedges, just add the juice to water or other foods and you’ll get the benefits. It is also used to help treat cases of urinary tract infection. Oats consistently rank as one of the best foods to eat when losing weight, and surprisingly enough they have a diuretic effect on the body. Most of the time it’s hydrating fruits and vegetables that are diuretics, and oats seem to be a food that soaks things up, the way it soaks cholesterol up. But oats can also give you relief if you’re retaining water. This is just one more reason why a bowl of oatmeal makes a great start to your day, regardless if you’re dieting or worrying about your cholesterol levels. Celery contains plenty of water, and will therefore get you to go more often. It’s great for hydrating the body, and recent research has shown that it’s not just the water we drink that hydrates us, but the water we take in from foods as well. 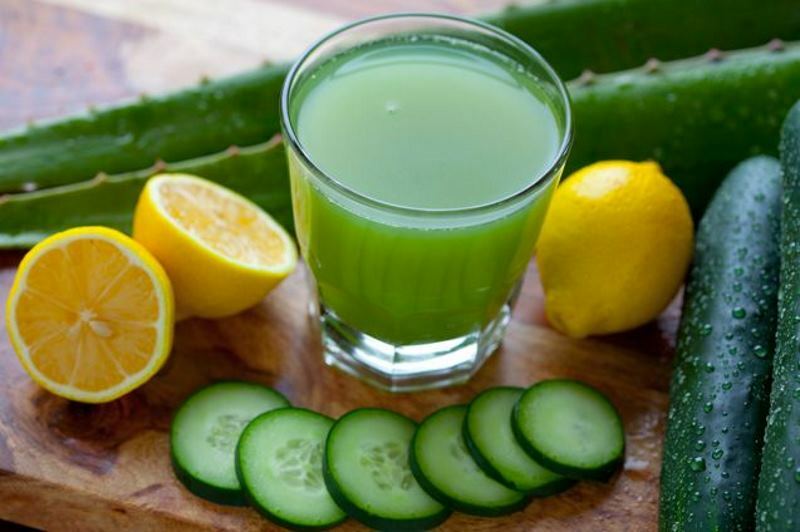 If you don’t care for the taste of celery, or don’t like having to chew it up, try adding it to a diuretic smoothie with other fruits and vegetables found on this page. You’ll be giving your body a big boost of nutrition and also make it easier to digest and process. Perhaps you don’t enjoy the taste of Brussels sprouts, but they’re so good for you that you may just have to learn to like them, or at least tolerate them. They are just one of several cruciferous vegetables to make our list, and this is a low calorie food that has plenty of antioxidants and is great for your overall health. If you can’t stand the thought of a pile of Brussels sprouts as your side dish, try mixing them with other vegetables or incorporate them into your main dish so you’re not just eating them straight up. It’s not easy to eat a lot of ginger, and luckily you don’t have to. Using it to zest up your meal, or adding a bit of ginger root to a glass of water will give you the benefits you need from it. It has a nice cleansing effect on the body, and is often used in detox programs to help flush out toxins. It also serves as a diuretic, and will help your body get rid of any built up fluid it may have. Next time you’re grocery shopping, buy some ginger root. You’ll be surprised how often you use it when you have it handy.